Terri Keanely has developed a new form of photographic art. Besides the unique displays of original photography she is able to see inwardly various spiritual beings who have not only taken form in the clouds, but who (in her own words), have revealed themselves to her. Hence, they are a beautiful array of beings who express individuality, and unique creativity in form. Terri has been privileged to see these beings and she proclaims she is merely putting on paper and screen how they appear to her. Over her lifetime, she has seen many spiritual forms; most of whom have appeared as angels. Some have appeared in different sizes and shapesalways ebullient, loving and enthusiastic. Each of them has a distinctive personality and often arriving in groups or with a friend. Terri has said, They seem to rejoice and be so happy that I notice them and that I can pick up that they are present. I now call them Happy Beings. This collection in its totality, now known as The Heaven and Earth Photo Collection has been an effort of thousands of hours of shooting, developing, and drawing of unique forms. Jewelry design and the making of it: She is self taught and has worked with the designing and making of fine, unique jewelry since 1971. She has utilized gemstones in a way never before utilized to capture the essence not only of the stone but to make the piece of jewelry an experience for the wearer. Floral Design and arrangement: She has designed different arrangements for both personal and commercial use. Her specialty was the construction of large, exotic floral arrangements. Designer of fine clothes/Dressmaker: Terri has worked to develop and sew designer clothes for both men and women. She is an expert in tailoring, although she was primarily designing and working with ladies apparel. She enjoyed the challenge of creating unusual original designs of everything from comfortable tennis suits, to beautiful evening gowns, or bridal gowns for high society. Author and speaker of many inspirational writings: She has written a correspondence course of studies called Balanced Path to Mastery and Enlightenment, information revealed to her through meditation and prayer as well as through extensive personal research, which she has done for over 40 years. These truths are not just of a spiritual nature, but also of a practical one. They are meant to apply to every aspect of a persons life. The reading of these materials is more than thought-provoking. Many have found them to be of benefit to their own self development as well as an excellent method by which to improve their successes in day to day life. People have used the materials not only to help solve their everyday problems, but to help them to achieve success in life through the utilization of practical techniques that Terri offers. Consultant/Counselor: Many have benefited from her expertise in a number of different areas--in ways which have empowered the individual; i.e. by helping them to be more balanced physically, emotionally, mentally, and spiritually. Once an individual can become attuned and balanced, he or she can take total control over his life by setting his goals, both short and long term goals. The goals may be of a more personal nature such as success; or for someone else, once the goal has been decided, one can than focus his energies and power towards the fulfillment of the goal, until it is achieved. 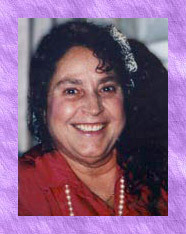 Seminar Leader/Class Instructor: Terri has had a series of classes for over 30 years. Topics have included many methods by which to raise ones consciousness as well as how to grow and develop in consciousness. She has been a leader and co-leader in various spiritual awareness workshops throughout the USA. Terri is married to Roger Keanely; they have two children and two grandchildren. Some of her work right now is that of consulting, and she works with many clients on a regular basis. Her photographic art work is rapidly becoming an expanding enterprise. She knows that any spiritual forms she has captured on film, not only bring her personal satisfaction and joy; but, in revealing these spiritual images to the public, peoples lives can gain new energies and hope for a brighter future. In her own words she says, Finally, people can see (these angels and beings in the clouds as) what Ive seen throughout my life! Everyone should know that we are never alone and that we are loved. She has been a leader and co-leader in many types of workshops throughout the U.S.A. The workshops include mind power development, spiritual awareness, and financial (planning) workshops around the country. A great deal of her work has been within the area of healing which encompasses many levels of energy and awareness but has been directed primarily through physical modalities/work. As a licensed massage therapist, and an energy worker, she has developed a system of healing called Krashada acupressure which encompasses the removal of negative, stagnant energies from the body and replacing them with positive energies. She has trained several people who have incorporated this into their massage practices. Another healing modality which she has developed in called Multi-Body Release therapy, which again involves removal of stuck energies from the body, and the release of stagnant energy patterns (on several energy levels) which may be holding the person back from healing and achieving success in overall energy flow. Birth trauma may be relieved with this as well as traumas from the distant past. The resultant effect is a person becomes more whole in his/her integrity and can now achieve more handily what he or she chooses.